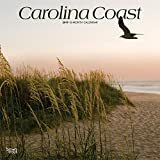 From the resort town of Hilton Head to the unspoiled beaches of Cape Hatteras National Seashore, the Carolina Coast boasts some of the most scenic locales in the United States. Our country’s maritime past lives on along the Intracoastal Waterway, at historic Fort Sumter off the South Carolina coast, and in the beautiful lighthouses and haunting shipwrecks off the North Carolina coast. 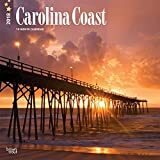 Tour the historic, the contemporary, and the timeless with this Carolina Coast square wall calendar. 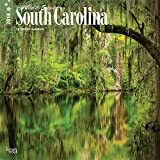 South Carolina boasts a pristine and diverse landscape of beaches, mountain wilderness, lakes, and forests. Whether you’re canoeing through a shadowy cypress swamp, strolling a palmetto-lined promenade, or watching a majestic island sunrise, South Carolina leaves you with a lasting impression. 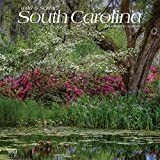 Celebrate wild and scenic South Carolina with this beautiful square wall calendar.